If you love hiking, Tasmania is THE place to be! This island is home to many beautiful hiking tracks, incredible beaches, it’s also a paradise for Australian wildlife. These are the best spots you should not miss! Stop joking, Penguin is home to the wild penguins. You can see these little cuties on the nearby beaches early in the morning or at sunset time. Every Sunday, Penguin is home to a market where you can find food, wine, and second-hand stuff. Don’t miss the “Giant Penguin”, you literally can’t. And take a picture with this “little fella”! I have been amazed by these huge weird structures during my whole trip in Australia, like the big banana in Coffs Harbour, the lobster in Kingston, the koala in Dadswells Bridge… and there are lots of more!! To see them now click here. While traveling in Australia, I lived two months in Ulverstone (see the map). This town has to be in this TOP 10. Why you gonna ask? Because Ulverstone is home to a beautiful beach which never gets crowded, or only maybe by hundreds (thousands) of tiny cuties crabs. Cataract Gorge (map) is the perfect place to escape from the city. Only 15 min walk from the center of Launceston, you gonna be in nature. Walking tracks, lookouts, wildlife (wallabies, peacocks…), suspension bridge, lake, river, pool, THE world’s longest single span chairlift, Cataract is a perfect gorge to spend a nice day! Bay of Fires is famous for its Orange-hued granite rocks, clear blue waters, and white sandy beaches. Nothing more to say, it’s just stunning! Bicheno is famous for its sandy beaches. It’s a really beautiful seaside town. Walk through the water to reach the stunning tiny Diamond Island. The water is shining like diamonds, it’s gorgeous! Loved it! This is THE HIGHLIGHT of Tasmania. Coles Bay is the main entrance to the Freycinet national park. This tiny town is beautiful. It is an overview before about what you gonna see in Freycinet. WINEGLASS BAY has been rated as one of the ten best beaches in the world. I did the 11km circuit from Hazards Beach to Wineglass Bay. THE BEST HIKE I HAVE EVER DONE in AUSTRALIA. Even though it was raining (A LOT), and the waterfall wasn’t big as on the usual pictures, I enjoyed Mount Field National Park. We hiked around 2 hours through the rainforest: beautiful paths which follow along the river. If you are lucky you maybe can see some platypus hanging out in the river. So sad that I haven’t seen one. If you just want to see Russel Falls, a short walk from the visitor center will bring you there. Cradle Mountain is a heaven for hikers! There are plenty of stunning hiking spots. To see them all click here. Here is a picture of Dove Lake. This circuit is about 6km, it’s an easy track. I haven’t been in Port Arthur but I only heard good things: Port Arthur Historic Site is one of Australia’s most important heritage sites. A fee is required to access Port Arthur. See more details here. Same for Bruny Island, I didn’t explore Bruny but apparently it’s a perfect island for walking, the landscapes look stunning. Find more information here. The best time to visit Tasmania is between December and February, summer time. It’s not TOO warm, and the wind is anyways all year blowing sometimes more or less! Perfect conditions to explore this GORGEOUS island! A permit is required to access to Tasmania’s national parks. You can find the prices and conditions here. Have you ever been to one of these places? If yes which one did you enjoyed the most? You haven’t been there? So – let us know which of these destinations you want to visit! P.S. 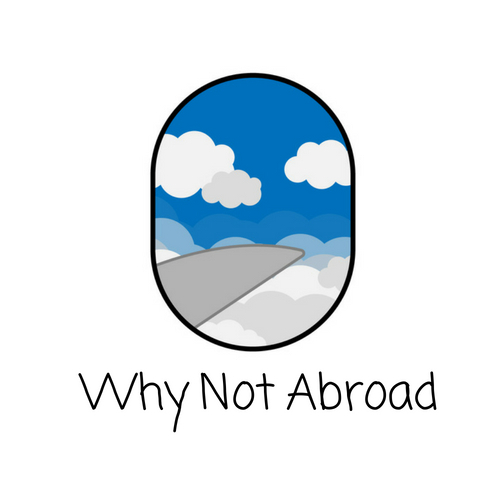 : If you have any question about things we’re writing about, or about your next adventure in Australia, shot us a message, we love to connect with fellow backpacker!